Lettuce all take a moment to appreciate how out-of-this-world this is. Because my apartment is far, far away from the nearest grocery store, the idea of going shopping is really disheartening at times. Is a bag of groceries really worth two bus rides and a long walk? Sometimes I don’t think so, but I can’t even imagine how long it would take to get groceries if I lived on Mars. Can’t complain, right? To save a lot of upsettingly long grocery store-runs for aliens or our future selves, researchers at the University of Guelph in Ontario have been crafting new ways to grow food on Mars itself. At the moment, one of the most promising ways involves different wavelengths of LED lights. If you thought that researchers had no need for good recipes, you’d be very wrong. Much like the chefs and bakers of the world, this research team is always in search of the perfect recipe–for optimal plant growth, that is. 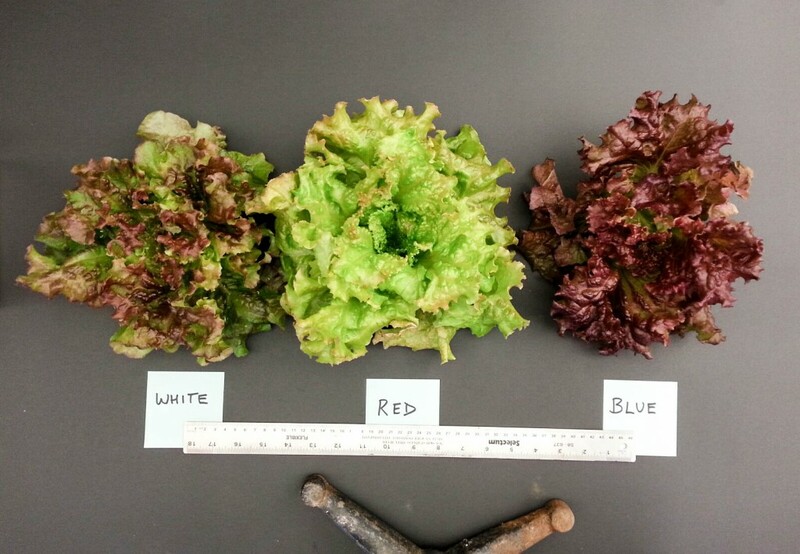 Already, they have been able to produce red leaf lettuce with different colored leaves and unique tastes just by varying the amount of red, blue, amber or ultra violet light used to grow each plant. Impressed? You should be. This actually might trump World of Color. Mike Dixon, a University of Guelph professor and director of its Controlled Environment Systems Research Facility, is excited by the prospect of landing on this perfect recipe of light, but he knows that there are still many hurdles to jump before he and his team can apply the technology to Mars. While the Canadian Space Agency brainstorms fundraising ideas, Mike and his team are finding ways to implement the research on their home planet. 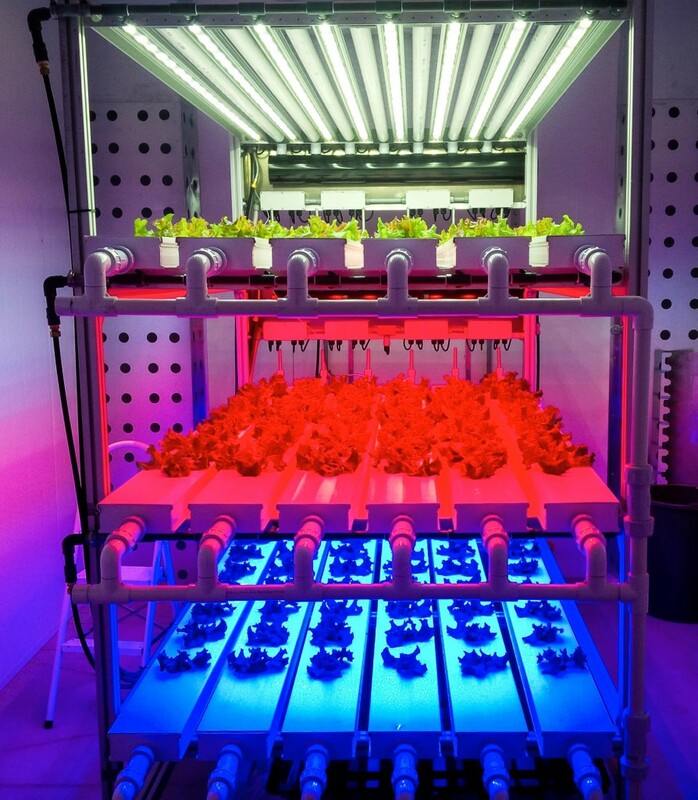 Too hard to grow produce in the harsh climates of the Canadian North and Kuwait? Not anymore. Medical marijuana not growing fast enough to satisfy the market in Berkeley? Problem solved. Ultimately, though, Mike hopes that this technology will open up a whole new world of food to astronauts. Instead of freeze-dried turkey and Pringles, astronauts will be able to grow their own cherry tomatoes, strawberries and lettuce, making trips to Mars much more healthy and foodie-friendly. A big thanks to Mike for his lightning quick email responses to my questions and for making the world, and universe, a better place with his contributions to science and food.